The yellow colour border on the white dial itself can make this watch a best seller. Styled with perfection, the watch has multiple styple features covered. The crystal studded for the four indices gives the watch a premium look. The golden colour projected indices between the crystals add to the beauty of the watch. 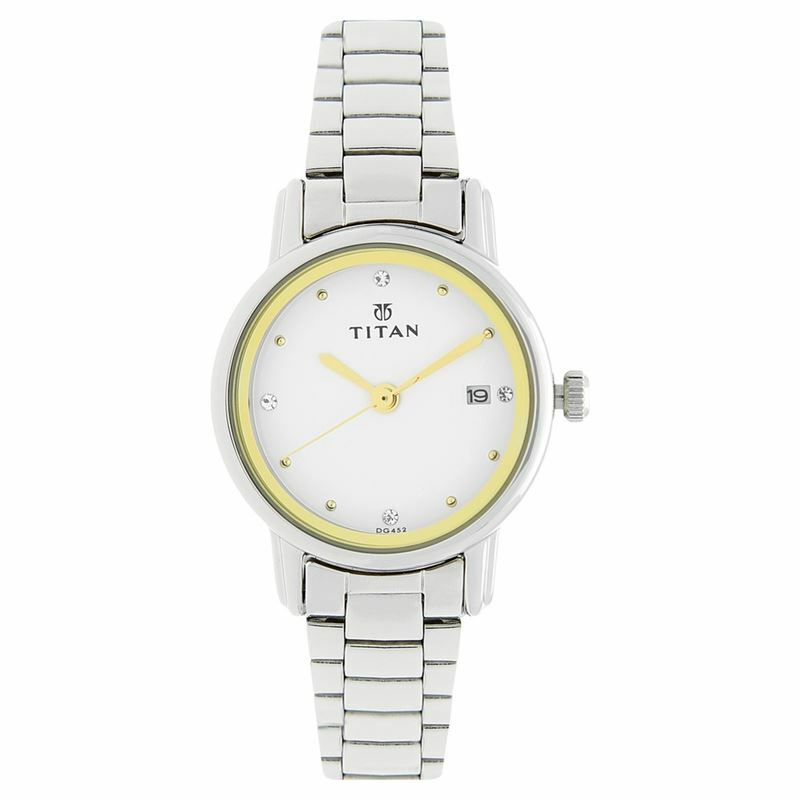 A special piece from the Titan Karishma collection, the watch has a silver colour stainless steel strap. The watch also houses a date function on the dial which is placed on the right side and has the date shown in black colour which gets highlighted well on the white dial.